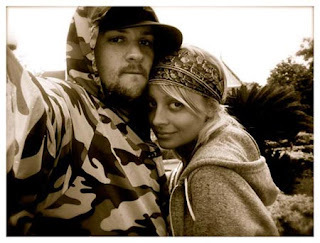 The U.S. Fund for UNICEF announced that Joel Madden, UNICEF Ambassador, and Nicole Richie will host UNICEF's 2008 Beverly Hills Snowflake Lighting ceremony on Saturday, November 22 at the intersection of Rodeo Drive and Wilshire Boulevard. The ceremony highlights the City of Beverly Hills' "Light the Night" annual holiday event where the UNICEF Snowflake and the 20 Baccarat chandeliers that grace Rodeo Drive are illuminated to kick off the holiday season. "We are honored to have Joel and Nicole participate in the Beverly Hills lighting ceremony," says Caryl Stern, President and Chief Executive Officer of the U.S. Fund for UNICEF. "With their tremendous commitment to UNICEF's child survival mission, Joel and Nicole are the perfect people for UNICEF to share this meaningful tradition with." If anyone is in Los Angeles on this date i would recommend going to the event, it is for a good cause & it sounds like a really nice event.